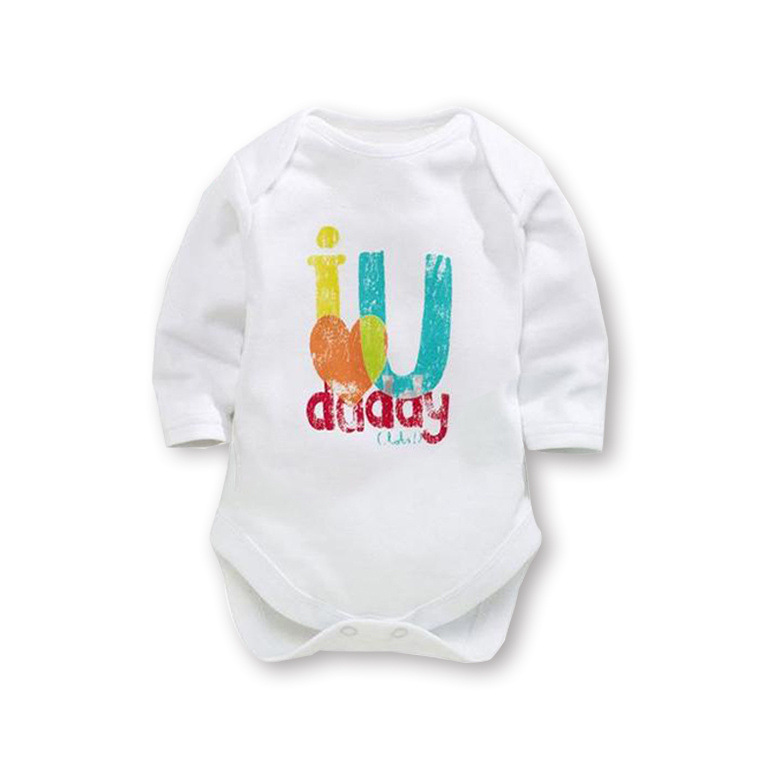 Made from cotton this bodysuit has the words “I love U Daddy” printed on the front, with the word “love” expressed with a drawing of a love heart. Adorable triangle cut with long sleeves. It has press buttons at the bottom.